Family Business Governance: A never ending challenge and a new area for research? Prof. Wolf Nietzer, MBA, LL.M. Karen Vinton’s Executive Summaries recap two articles from the June 2013 issue of FBR. In Is Nepotism Good or Bad? Types of Nepotism and Implications for Knowledge Management the authors look at two categories of nepotism, reciprocal and entitlement. Read our interview with Jeff Ahola, CEO of The Ahola Corporation, a family-owned, national payroll and workforce management company that provides tools and resources for family enterprises. 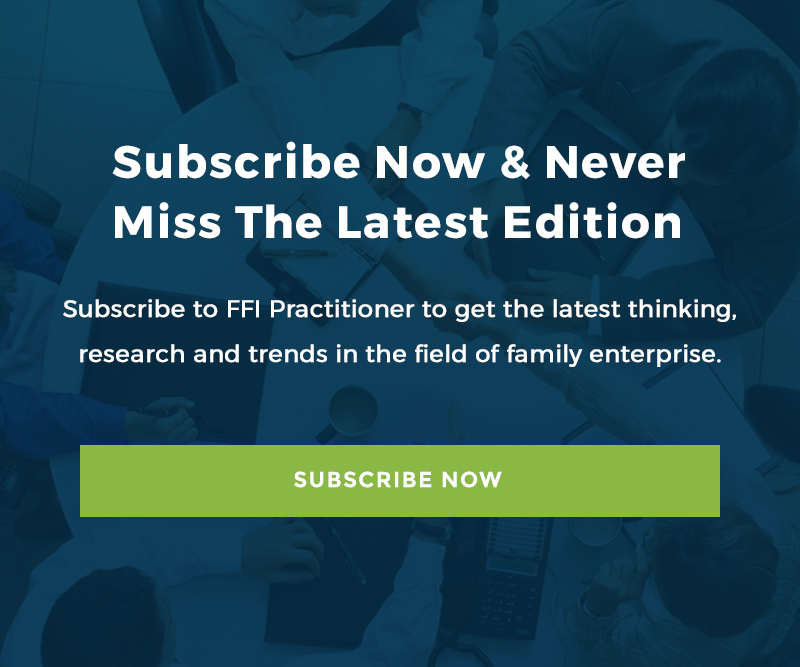 The Practitioner is pleased to bring you the first in a series of preview articles from the FBR September 2013 Special Issue on Advising Family Enterprise, co-edited by Trish Reay, University of Alberta, and W. Gibb Dyer, Brigham Young University.